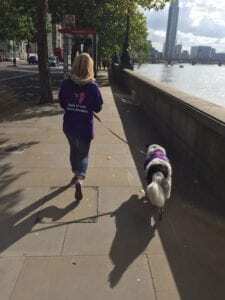 Please join the TTP Medical Team, TTP Patients and patients with other platelet disorders for our annual sponsored walk that will cover six of London’s most famous bridges. You can go as fast or as slow as you wish on the day, to take in some of London’s most iconic sites. Stop for lunch with either your own picnic or enjoy a stopover at a riverside restaurant. Friends and family are welcome to attend to help us raise funds and show their support. Last year over 100 people attended and it is a great opportunity to meet fellow patients. Meeting other patients really can help to realise that you are not alone with your blood disorder – there are many others who have experienced the high and lows of TTP. If climbing steps are an issue for you there is an alternative route available and the day is very informal, so it is totally up to you how much of the six mile walk you complete. Please ensure you wear suitable walking shoes and are dressed for the weather conditions. On the day of the walk you will receive a free T-shirt, walking route map and a certificate on completion. (Walkers finishing after 4pm can get their certificates emailed to them). This walk will raise funds for TTP Education and Research and last year we exceeded our target of £5,000. Thank you in advance for your support and kind donations it really makes a massive difference. You can find details of the 2017 event HERE.